Bread. It can easily be stated and agreed that bread is at the very cradle of our existence. No matter how different the end result can be, the very same components are always present in bread for thousands of years gone by. Every culture has a version of bread. I would go so far as to say that making and enjoying bread is uniquely the one thing that separates us from other life forms. Today, I made bread at home. I’ve been through the process hundreds of times for many different applications in commercial kitchens, under pressure…because I had to make par levels…or to provide patrons with “table bread” to nosh on throughout their dining experience. My day today was not encumbered by any of these things. As I woke up early this afternoon, my first thoughts were: “…coffee, need coffee…what am I going to do today while looking for a job? 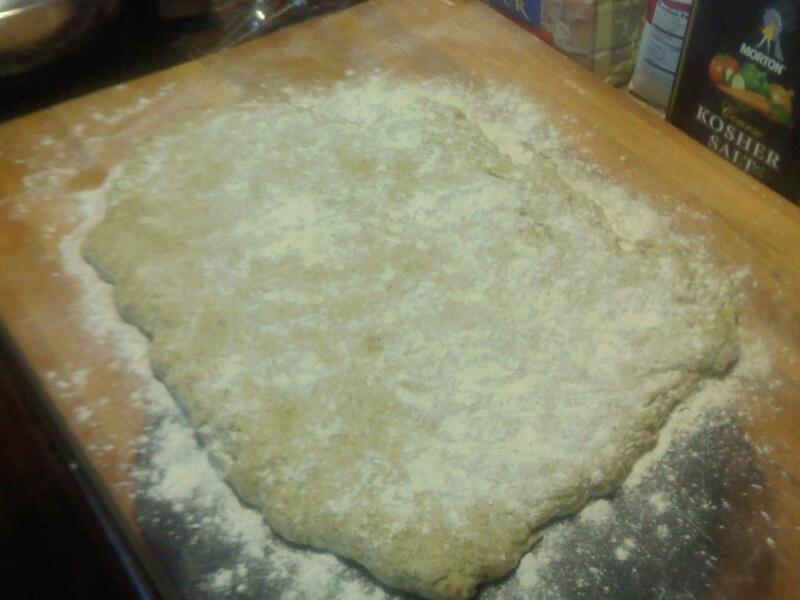 Hmmm… I have flour. I have yeast. I have water. 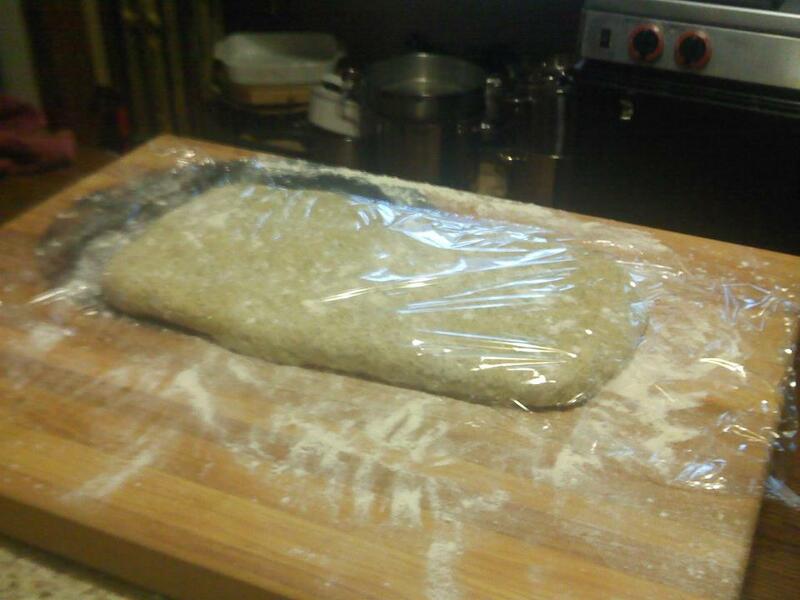 I love to make bread…” So, my day’s agenda was born. All ingredients were present and I was looking for a “lift” while sadly contemplating the depressive task of looking for work in an unforgiving job market. 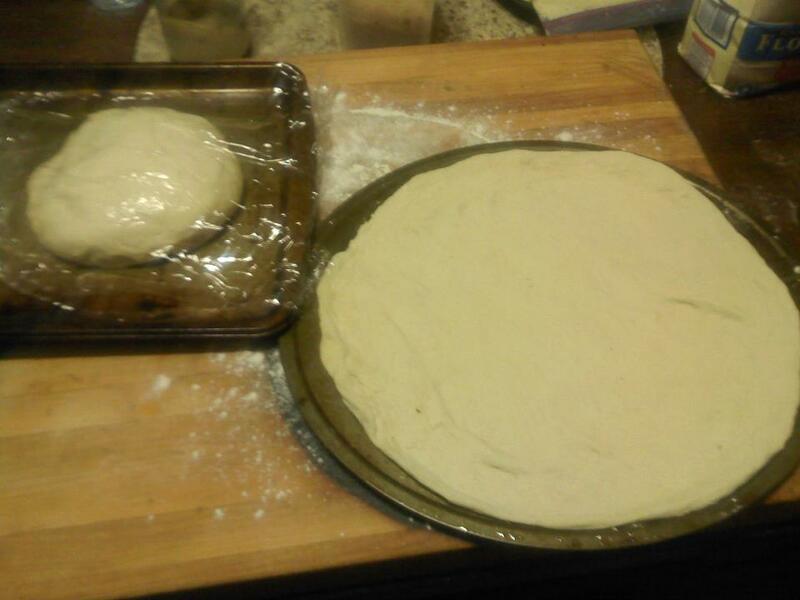 I settled on three projects for the day… First, I will make a nice focaccia. 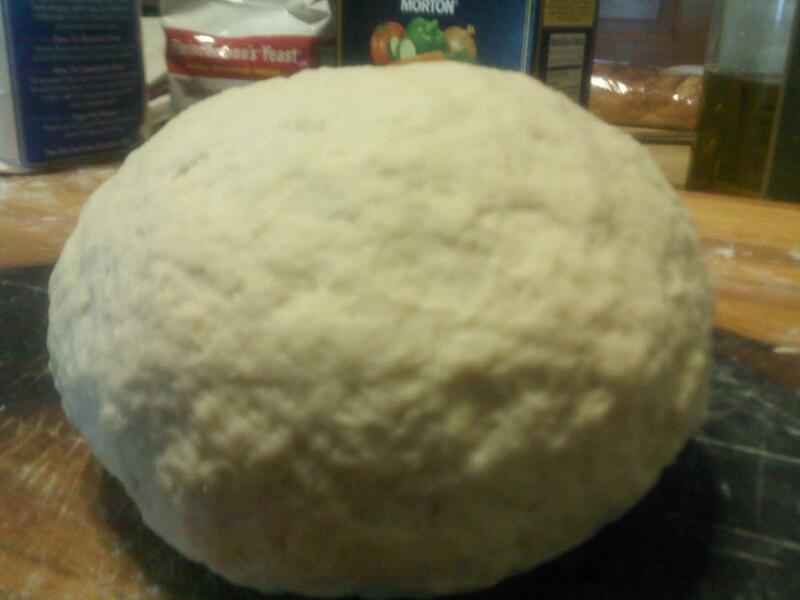 Then I will make a “pizza” dough. These two, I would be testing the house oven with along with a back-up plan incase my first attempt failed and all of that waiting for dough to rise and ferment was to be for naught. 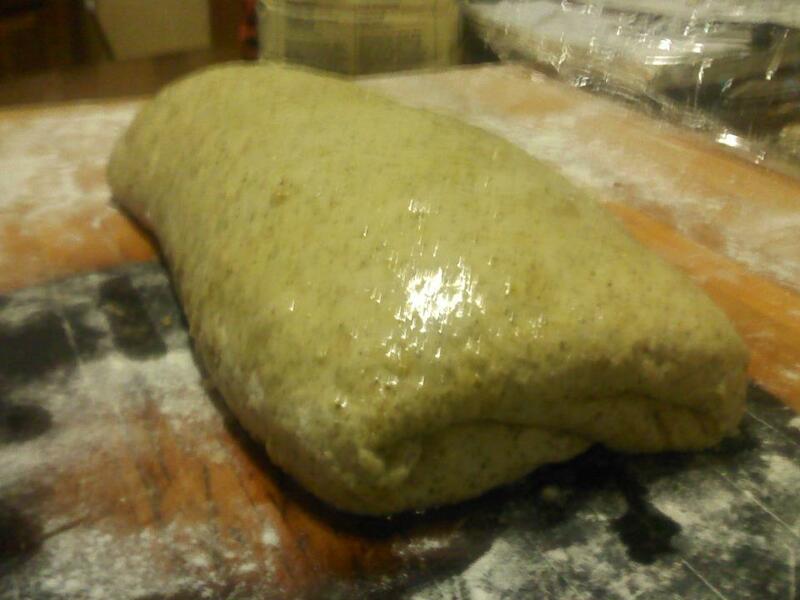 Lastly, I would make a pre-ferment for tomorrow’s French bread…a common technique that greatly improves structure and flavor and is well worth the patience and forethought to prepare. Focaccia is one of my favorite breads and I think is fun to make. It is dense but “airy” with a nice crust on the bottom and soft in the middle…flavorful with the addition of fresh herbs and herb infused oil, which I take the time to prepare before hand as part of my mise en place. 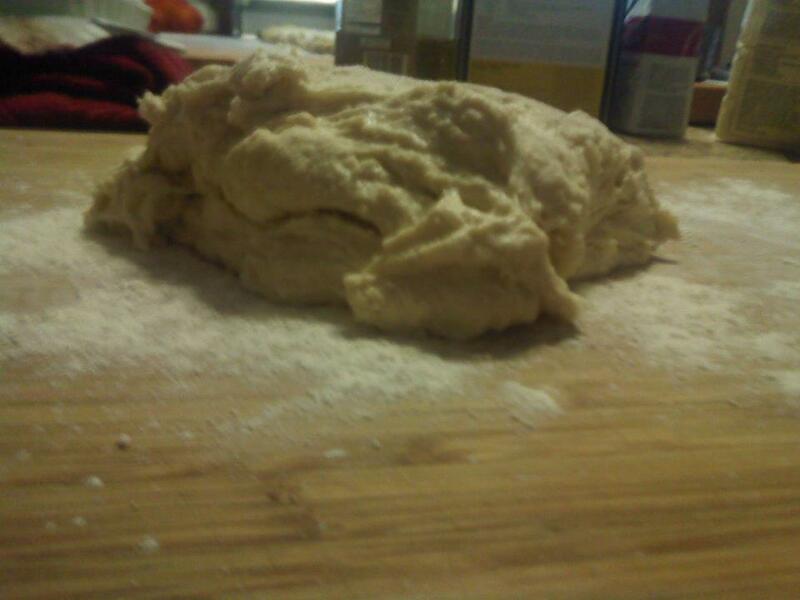 This dough tends to be wetter than most and lends itself to careful handling as it is stretched and “folded” (like a letter) up to three times during its rise. It has a good deal of oil in the call for ingredients during the mixing process and finishing. This process including the resting periods, takes up to about four hours. Allowing it to rest overnight in the refrigerator will help to develop deeper flavors as it ferments. I opted for the four-hour version and I was happy with the result. Bake time is not very long. 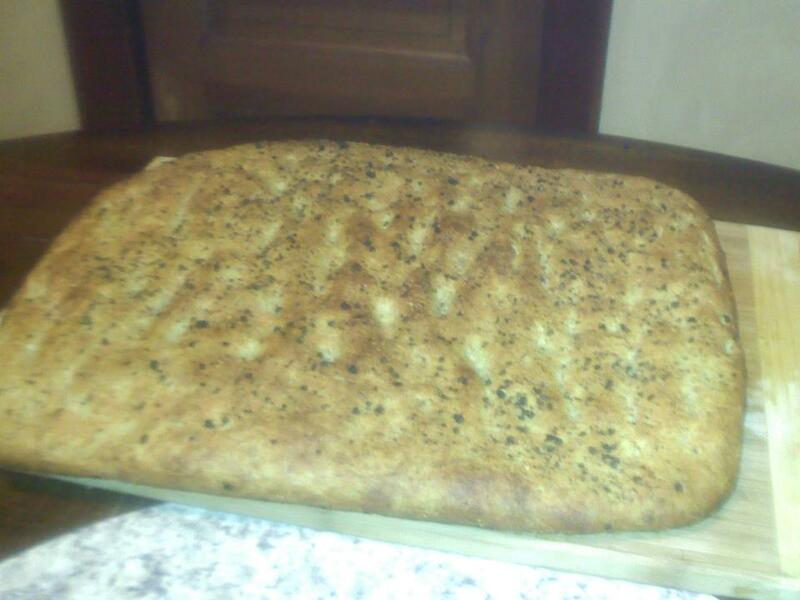 I fired my focaccia for ten minutes at about 450 degrees and I probably could have pulled it a minute earlier. That is the benefit of getting to know your oven at home. They are all different and especially so from commercial ovens. 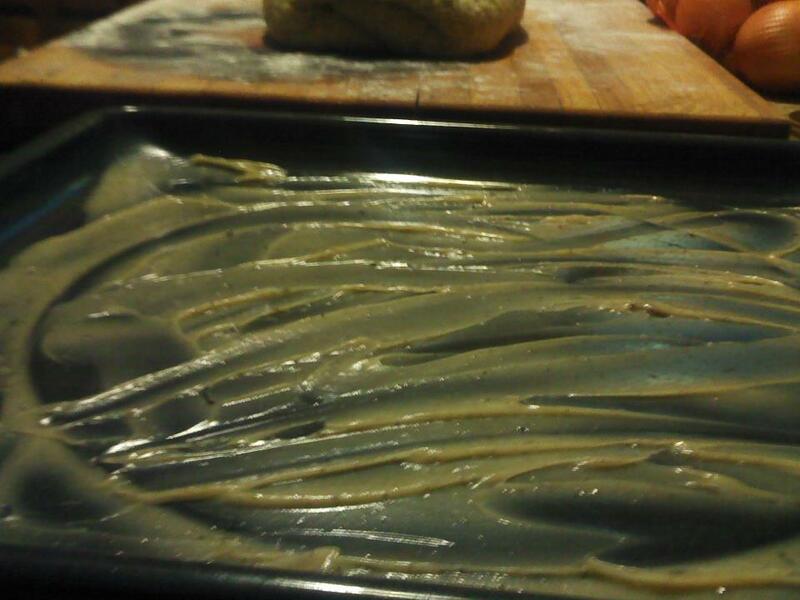 Oh, I larded my baking pan with bacon fat…that’s just something I experimented with…came out pretty tasty! 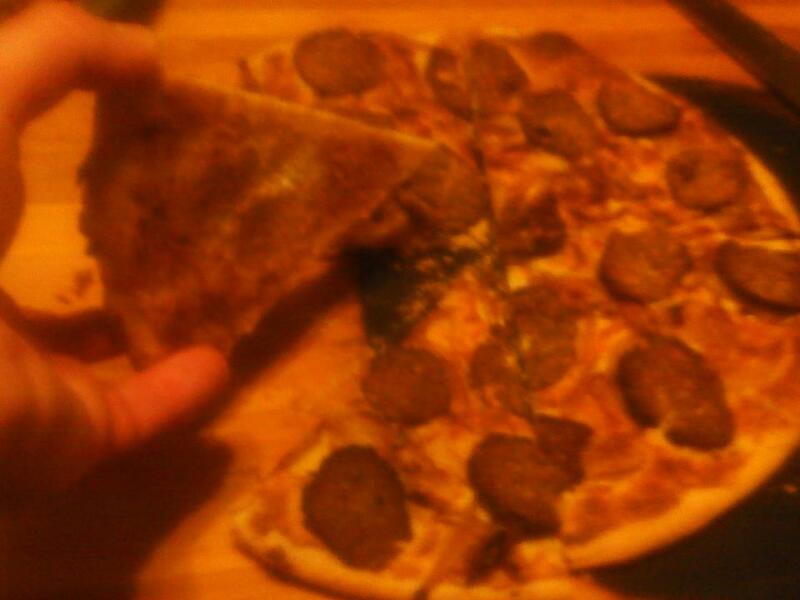 For the pizza dough, I based the recipe from a manoushi dough which is a Lebanese and Syrian version of a flatbread. I tweaked it slightly with my own recipe for a pizza dough and found the result very pleasing. Total proof time ended up to be about two hours including a punch-down and portioning to two seven ounce balls. The finished product after about thirteen minutes in a 450 degree oven resulted in a nice golden crust that was crispy and thin. 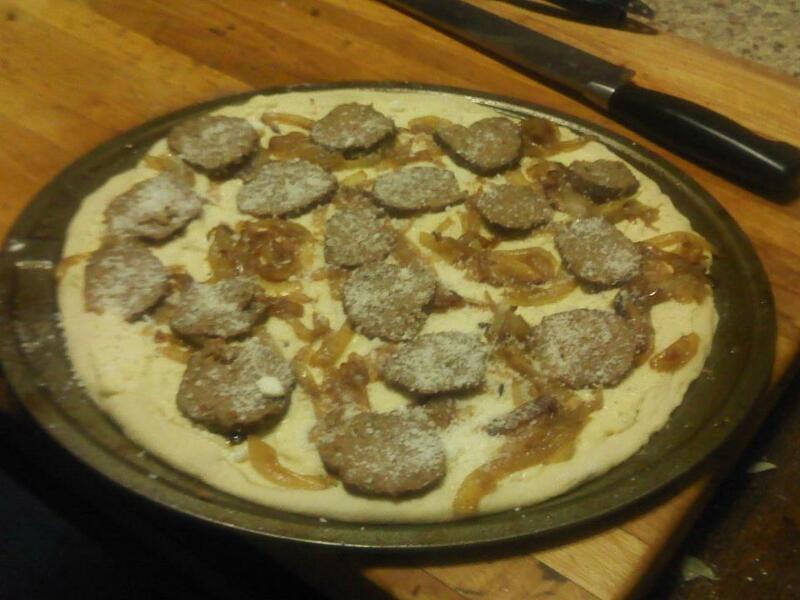 For toppings, I got a bit creative…For the base, I spread a mixture of ricotta cheese, parmesan cheese and egg (basically a ravioli filling), sliced meatballs I had made about one month ago and froze, and jullianed carmelized onions. As for the pre-ferment, it’s resting and getting yummy in the fridge as I finish up this post. 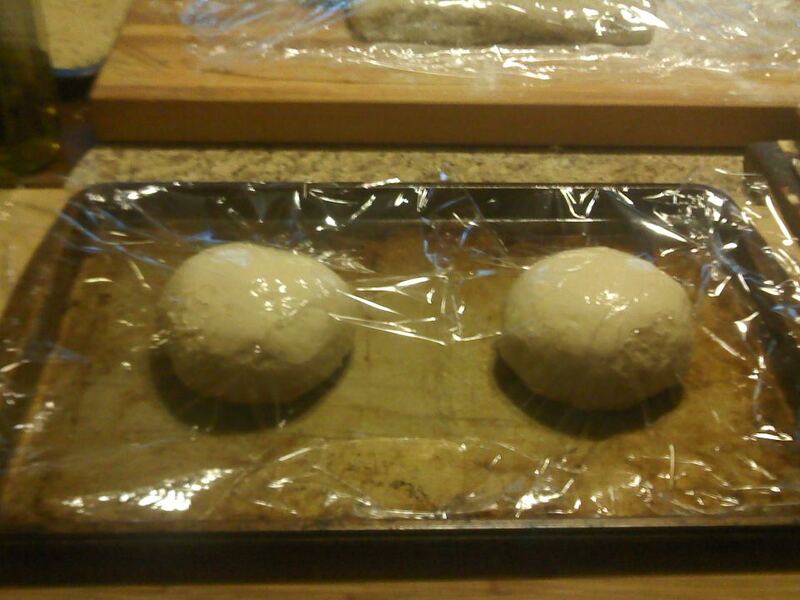 Tomorrow will yield some nice fresh French bread.